If you’re like me Goddesses and you absolutely love a good laugh. Then you absolutely love Melissa McCarthy and you consider her one of your favorite American comedic actress. Whenever she’s performing, rest assure we’re going to be laughing to tears. I must’ve watched The Boss, one hundred and one times. You’ll be happy to learn that Ms. McCarthy will now be showing up across our TV screens, while making us laugh quite often for the next several months. She has officially launched a new upcoming TV series, Nobodies, and will be making appearances on the show. According to Life & Style Weekly, Melissa and her husband Ben Falcone, are executive producing the show. Recently, Melissa and her hubby were spotted all cozy together in Austin, TX. They were there for SXSW, promoting the new series before it’s premieres. You can view the trailer at the bottom of this post. Don’t you just love how her hubby looks completely taken with her and Melissa is rocking that loose wavy shoulder-length hair. I love how she accessorized this gorgeous dress with a black wide leather belt and black & bowed Kate Spade Idella heels. Here’s something we didn’t know Goddesses, Melissa also has a clothing line. The line is for every woman with sizes from XS to 4X. I took a peek and there are some really great fashions on there, you can check it out here. She looks so great! I adore that print on her dress. She's such a pretty lady. I'm glad that there's women out there that are proud to be the way they are! Skinny or big tall or short we should all be holding each other up and not tear each other down. Nobodies sounds like it's going to be great. 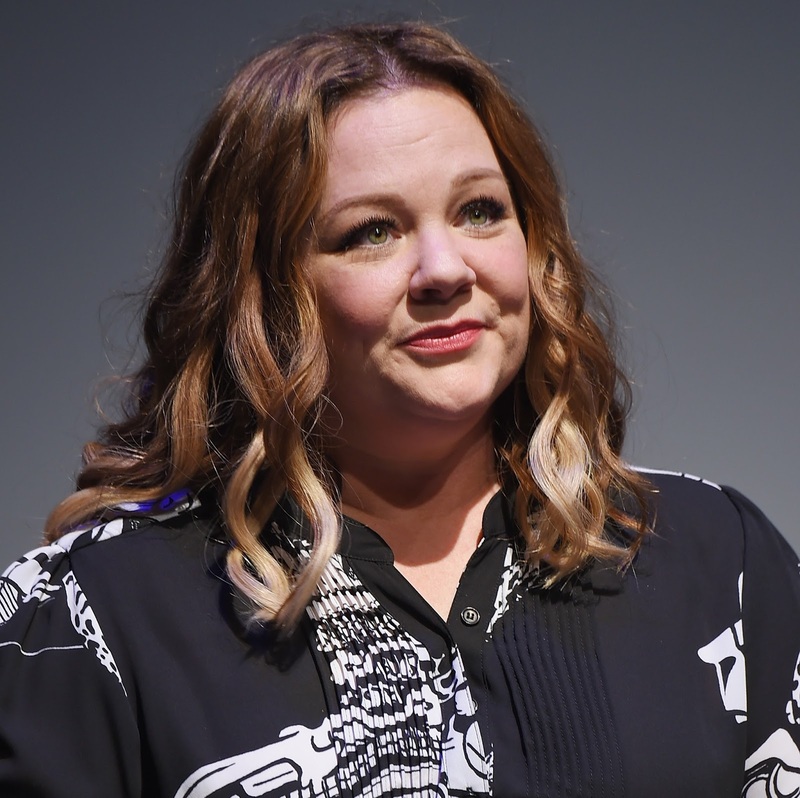 Everything Melissa McCarthy touches turns to comedy gold. She is stunning - larger or thinner either way. Such a funny lady. I am sure her and her hubby's new show will be a hit! She really has taken the world by storm! I love her dress. She really looks amazing. Melissa McCarthy is on e of my favorite actresses. Absolutely love Melissa Mccarthy in all of her roles! Very much looking forward to watching this. She looks gorgeous. I love her dress. I will check out her clothing line. She looks amazing! The dress looks soo good on her. I liked her on Mike & Molly, that was a funny show. She seems like a really driven person so I am sure she will be successful in all that she does. I so want to go to SXSW and we don't live too far away, but it's always during a busy time. I had no idea she had a new series. Can't wait to check it out! She looks great for sure! Always a beaming smile! I love Melissa McCarthy! I have never heard of this show before! It sounds great!! She is so cute and funny. I like Ger as an actress and yes, her husband looks totally psyched. Lol! Melissa McCarthy is one of my favorite actors. She has a way of always putting me in a better mood. I'm a huge fan of hers. I watched all her movies. She's just too good! Didnt realize she was married to him, hehe. I can't believe just how much weight she's lost! She looks SO great - I'm so happy for her!